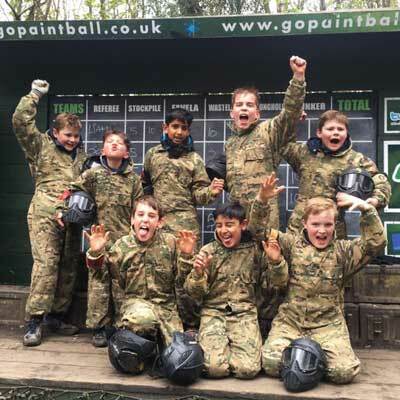 Mini Paintball at GO Paintball London is fast becoming the new and exclusive phenomenon for the ultimate Paintballing birthday parties for 8–11 year olds! 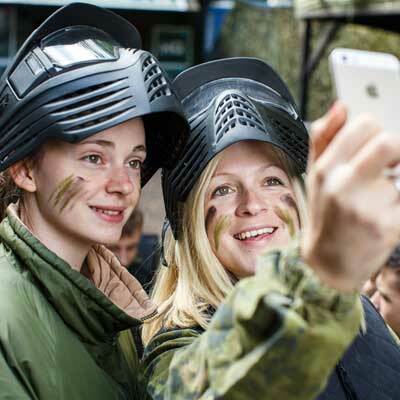 Run by the former UK #1 paintball player and utilizing brand new ‘low impact’ junior paintball guns, GO Paintball London is setting new standards in outdoor action entertainment for Junior Paintballing parties. 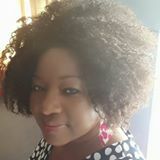 Fully inclusive 2½ hour parties: 12pm–2.30pm. All players are fully reloaded every set of games. No extra costs! A 9" pizza and a drink included per person. 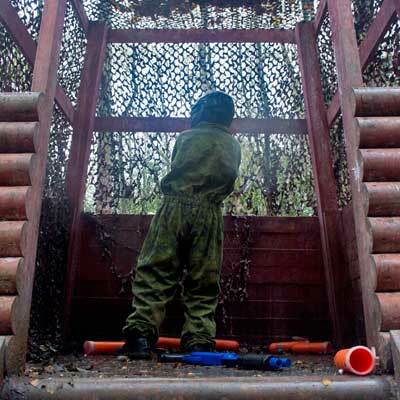 Age exclusive and a 4 party capacity per day to ensure the best Paintball games possible. ‘Low impact’ paintball guns, full headshield goggles and camouflage overalls. Sniper Rifles, Riot Shields and other equipment can be collected and used by players to help swing games in their favour! FREE dog tag and pictures! Birthday Boys/Girls receive FREE ‘Squad Leader’ Dog Tags to keep and we upload ‘Squad Pictures’ for parents to share on Facebook. 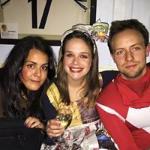 The best, professionally trained staff to host your party safely and to the highest standard. Utilizing brand new junior Paintball Shotguns and Sniper rifles, as well as always using high quality ‘low impact’ fragile paintballs, our Mini Paintballing allows parents to organise Paintball birthday parties for their children, with the full confidence of quality, fun and safety that GO Paintball London has become synonymous with! From the timid to the brave hearted, everyone can find their own style and throughout their session with us they will build in confidence, learn to work and communicate with other people to overcome challenges – all whilst enjoying an unbeatable day of fun and exercise in our scenic forests venue. 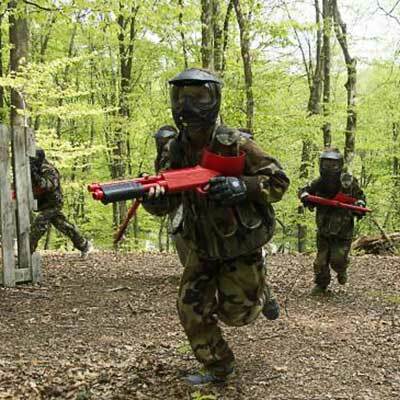 Our Mini Paintball packages come with all ammunition included for their session (no extra costs whatsoever! 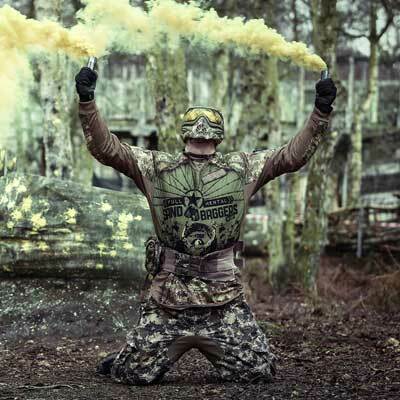 ), and a 9" Pizza Hut pizza and a drink included for everyone, as well as all of the equipment they could need for an amazing Paintball experience. Quite simply, everything is included within the price with no hidden costs! Please use our handy Availability checker (above) to check dates or book in online. Our friendly team is available Monday to Friday 9am–6pm should you have any questions at all, so please don’t hesitate to get in touch. Download Paintballing Party Invites – customisable and ready to print or email! Visited today for a 10th birthday party for Jamie. Impressed and blown away by the levels of service and friendliness of all of the staff including the owner Tommy, who went out of his way to make sure the day ran smoothly. Great day out for a lively bunch of ten year olds. Highly recommended, hope to visit again soon. This was such a great fun experience for the boys and girls alike. Everything was so organised and fun. It will be an unforgettable childhood experience. They were still excited about their day. Wonderful 9th Birthday – AWESOME.